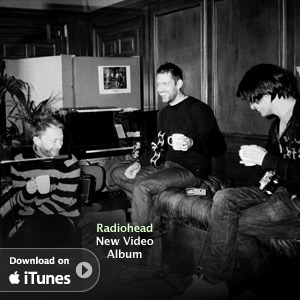 We were pleasantly surprised to find out that Radiohead In Rainbows From the Basement is available for you to download. The collection debuts exclusively through iTunes beginning today, June 25th and features live renditions of songs from In Rainbows and its bonus CD. Captured in a day with sound by Nigel Godrich and video direction by David Barnard, the videos represent the best recorded representation of Radiohead’s live performance to date.